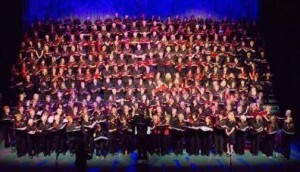 inChoir is a singing group which members join just for the sheer joy of singing. We are entirely non-auditioned but the passion, power and perfectly pure harmonies are absolutely amazing. We have twelve adult branches in total, including two in Haywards Heath and one each in Burgess Hill and Uckfield, and we sing a variety of uplifting modern songs. Come and watch us and you'll hear us perform songs from the last couple of years charts alongside a song celebrating its fiftieth birthday - plus anything in between. But we should point out that a performance by inChoir comes with a warning; we'll make you laugh, and we might make you cry; we'll make you clap your hands and stamp your feet; we may even make you want to join in!